Coptic binding dates to the Second Century A.D.E. Practiced by early Christians in Egypt, the Nag Hammadi or Gnostic Gospels, were sewn in this chain-stitch style. Get your Davinci Code on by re-creating this historical book style. Practically speaking, a Coptic journal makes an excellent sketch book or notebook because its pages will lay completely flat. It is functional and aesthetically pleasing. 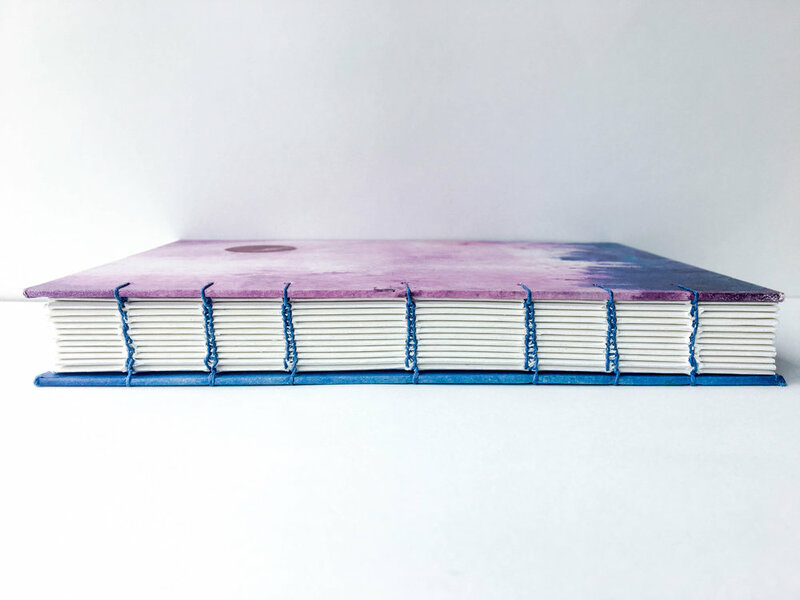 Participants in Coptic Binding 1 need no prior experience in book binding. We will cover boards in decorative paper, pierce the boards for decorative sewing, assemble sheets into gatherings, and prepare those for sewing. Participants will make all of the pieces necessary to assemble a Coptic-sewn journal.